Operating from below freezing to extremely hot temperatures, the Robust UHF Antennas will work with any reader and are backed by an equally robust warranty. FEIG ELECTRONIC, a leading global supplier of RFID readers and antennas, introduced its new Robust UHF Antennas, capable of withstanding the harshest and most extreme outdoor and industrial environments. Awarded the highest certification available for impact rating, its’ IP65 die-cast aluminium, weatherproof, sealed housing protects against dust, dirt, and wind-driven rain, ensuring superior reliability and avoiding inconvenient and costly maintenance. The antenna is so well designed it carries a full 36-month warranty when paired with a FEIG UHF reader. 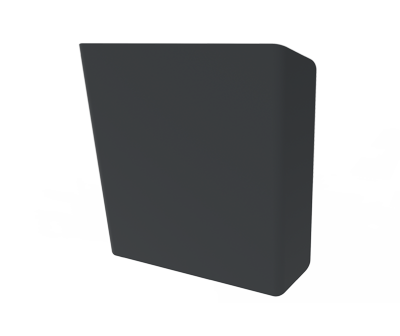 The Robust Antenna is ideal for any outdoor or industrial application where harsh, demanding conditions exist, such as gated access control, perimeter protection, vehicle mounting on waste collection trucks or industrial forklifts, container tracking in shipping ports, airport baggage handling operations, and vehicle identification for road tolling. “With its robust TNC coaxial connector the Robust Antennas are compatible with every available RAIN RFID reader and importantly suitable to all kinds of applications”. The antenna uses a VESA mounting pattern, a flexible, widely accepted and durable mounting technique to attach the device to the widest variety of surfaces with ease and is available in a standard 65° by 65°-degree beam angle for a wide area of coverage or a 65° by 30° focused beam angle for longer reading distances. The operating range of the Robust Antenna will withstand continuous exposure to winter’s worst freeze in northern latitudes to the extreme summer heat of a desert climate. RFID Canada, RFID technology provider is the Canadian distributor for FEIG ELECTRONIC.